06 Şubat 2019 Çarşamba 20:01 - 7 reads. 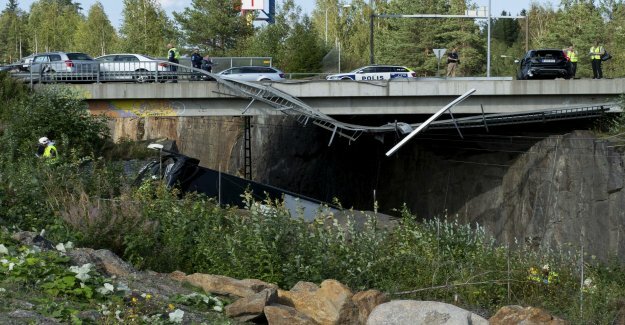 "The number of fatalities in the Finnish road traffic accidents rose"
"It was a black year for traffic safety in Finland in the last year. Total killed 246 people in traffic, an increase of 13 employees compared with the previous year, and the elderly are considered a special risk group." "Older drivers' fatal accidents has increased steadily in line with population ageing. When you get older you should pay attention to their driving, " says Salla Salenius, trafiksäkerhetsforskare at the Institute of incident data will." "less than a third of the 224 fatal accidents were caused by drivers who were over 64 years old." "44 percent of the fatal accidents were due to cars spinning of the track. Frontalkrockarna also increased, with close to one-third. Most of the accidents occurred on the major roads." "Also in Sweden, it was a dark year for the road in the last year with 325 fatalities – almost 30 per cent more than the year 2017."